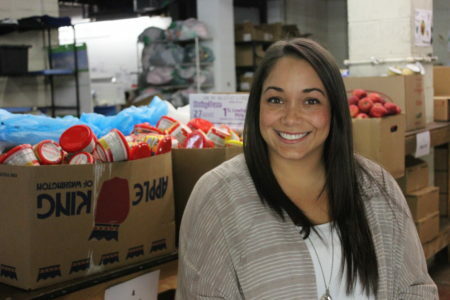 Greater Pittsburgh Community Food Bank relies on a strong network of nearly 400 programs to distribute food to individuals and families throughout our 11-county service area. Many of these organizations are entirely volunteer-based. The dedication of our member network allows us to distribute more than 33 million meals annually. Our network of member agencies is comprised of a variety of food assistance programs, including food pantries, soup kitchens, senior programs, after-school programs, emergency shelters, Partner Distribution Organizations (PDOs) and Re-distribution Organizations (RDOs). Member agencies sign an annual Agency Membership Agreement, meet standards and requirements set by the Food Bank and Feeding America, and work in tandem with the Food Bank’s mission to feed people in need and mobilize our community to end hunger. Find an agency near you. Want to join our network? We would love to have you. Contact us today at 412-745-6558 to learn more about agency membership. Looking for our Agency Portal Login?